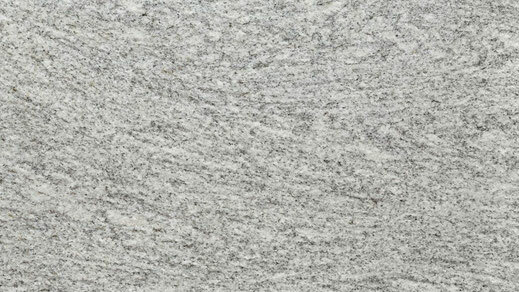 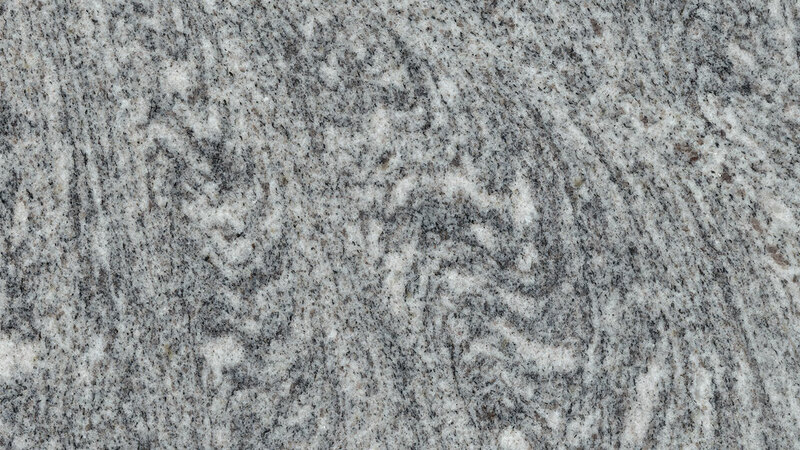 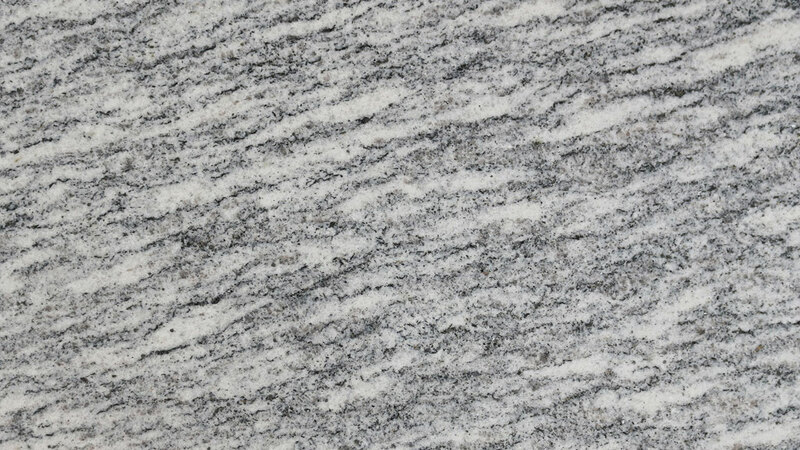 As its name suggests, the American Silver Cloud granite is reminiscent of a silver colored cloud, with a bright base tone and silvery, strongly dynamic veins. 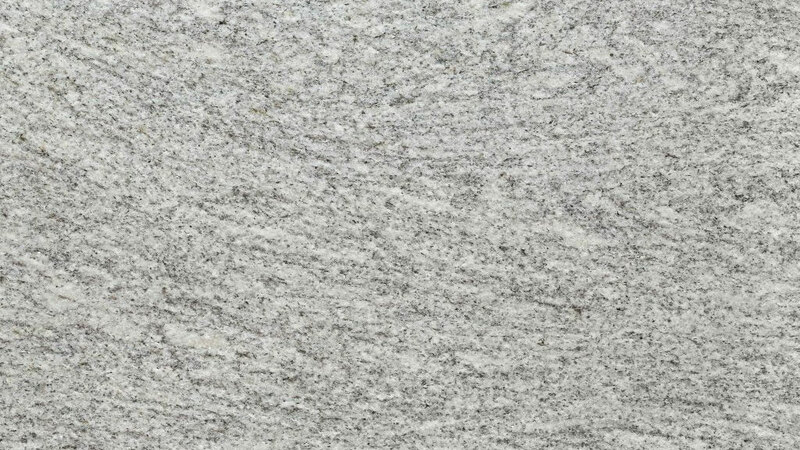 Depending on the cutting direction, the pattern appears clouded or longitudinally flowing. Its structure and color make the material very versatile and timeless. 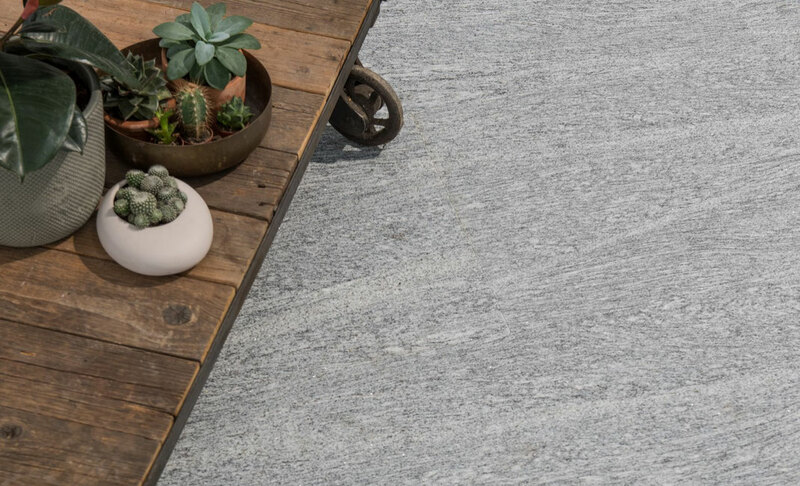 Thanks to its excellent technical properties, this hard stone is suitable for a wide range of indoor and outdoor applications. 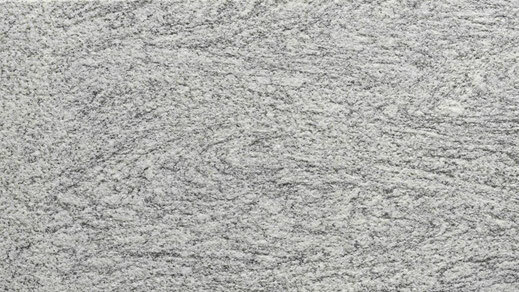 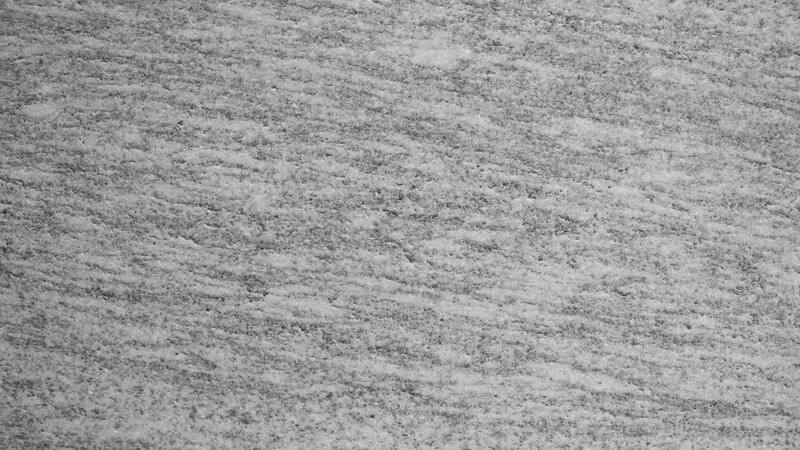 Its acid resistance and hardness, allow the application of Silver Cloud also as a perfect kitchen countertop. 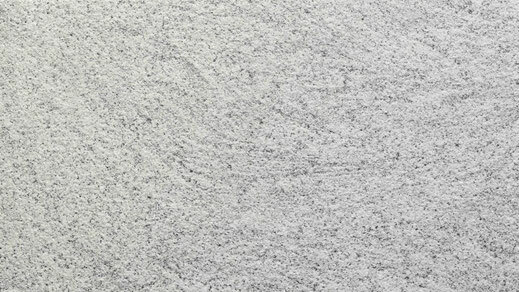 The constant base tone and the imperceptible color and structure variation from block to block make Silver Cloud ideal for large-area applications such as facades and floors. 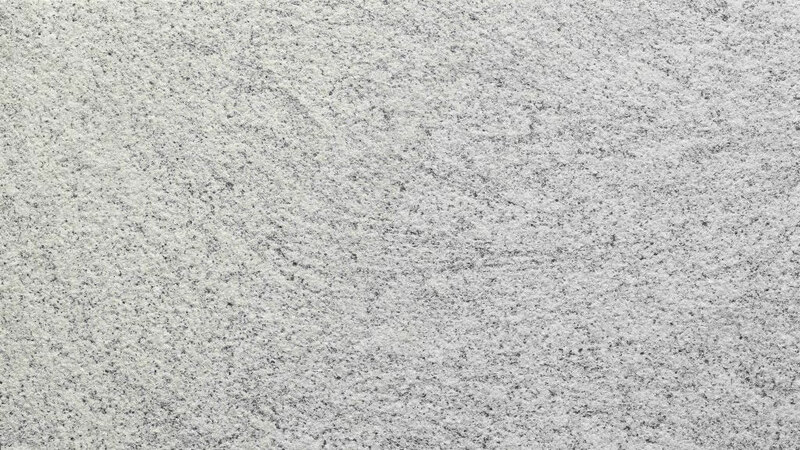 Depending on the chosen finish, the material shows different surface structures ; from smooth, over silky to rough. 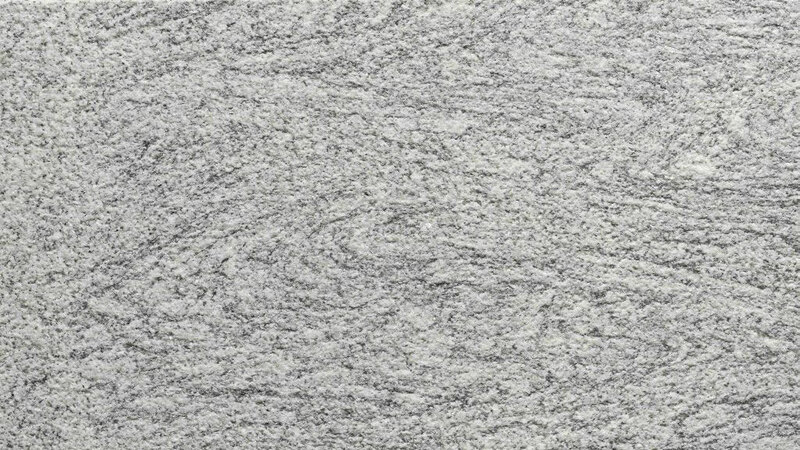 The various finishes influence also the color of the material. 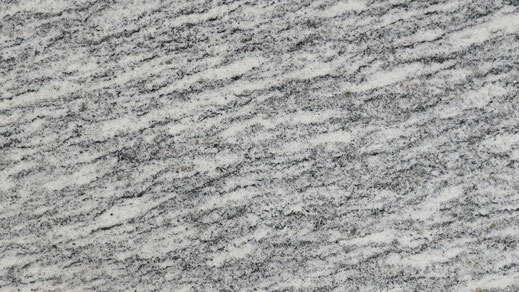 For example polished slabs show more contrast between lighter and darker veins, whereas the sandblasted finish lends the material a much lighter appearance and the difference between light and dark veins diminishes. 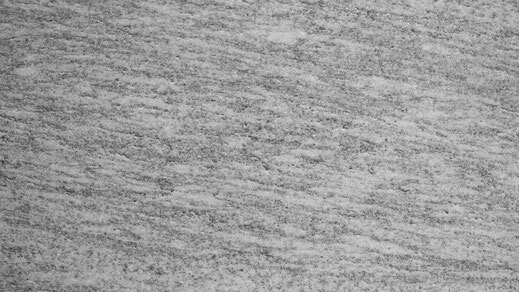 **All values in this column are based on European test norms and converted into equivalent imperial units.